Cooking Unlimited. 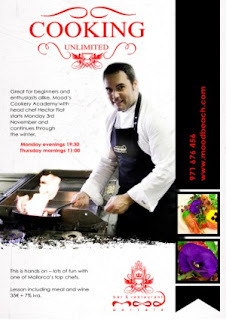 Great for beginners and enthusiasts alike, Mood Beach's Cooking Academy with head chef Hector Fiat start Monday November 3rd and continues through the winter. A hands and fun cooking experience with one of Mallorca's top chefs.